Western Australia has one of the most centralised demographic concentrations in the world where the vast majority of our population live in a single metropolitan area. However, it is Western Australia’s regions, and the West Australians who live and work there, which generate most of our primary wealth. 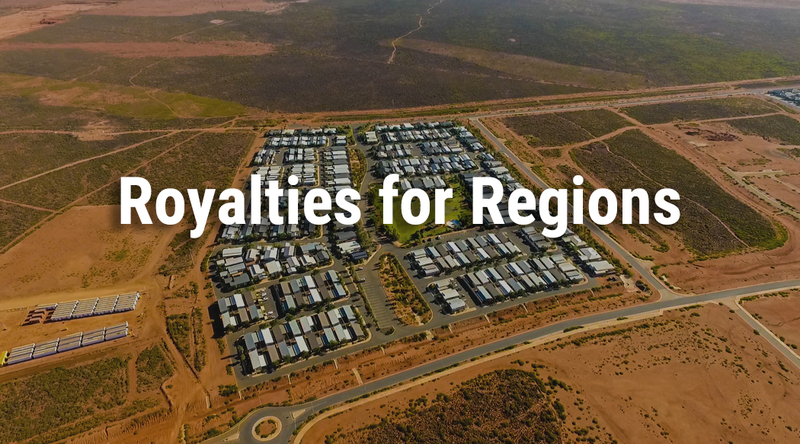 Despite this, the regions are often less well serviced than the metropolitan area in terms of health, education, land-use planning, environmental services and a range of other government provisions. Regional communities are also responsible for managing a diverse, fragile and often degraded environment. With local governments limited by the resources that they raise through the blunt instrument of rates, they are often individually unable to provide significant cohesive and strategic regional initiatives, although many, through voluntary regional organisations of Councils, are moving in this direction. This is particularly true in regions that are very large in area, but very sparsely populated, like the Pilbara and Kimberley. The resilience of regional communities to future challenges can be enhanced by diversification of local economies, effective stewardship of the natural environment, supporting local communities and allowing for more participation of regional communities in creating their own futures. The Greens (WA) strongly support a regional approach to governance that recognises and places the environment at the foundation of governance. Regional governance, based on bio-geographical boundaries provides the most efficient way to foster ecologically sustainable development, whilst building stronger, more resilient, and better designed communities. restoration of degraded soil, waters and vegetation.